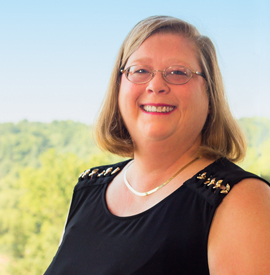 Lee Ann was with Bell & Frech since June 1994, the firm’s inception. She is excited to be part of the newly merged BFJ Financial Group. Although employed part-time, she manages the administrative duties with a full-time attitude. Prior to employment with Bell & Frech, LLC, Lee Ann worked for CAE-Link in various administrative duties. Upon receiving her Associate Arts degree in Secretarial Science and Word Processing, she got married and supported her husband, while he finished his schooling. During that time, she worked in administrative positions for a small textbook reviewing firm and the Senior Administrator for the local ambulance service. Lee Ann was born and raised in the Washington, DC area. She is married and has two lovely children. She is very involved in the lives of her children, as well as being involved in her local church.